Now I can spy on the girls from across the street! No more having to sneak right up to the window for Sluggo! That’s the neatest looking city dump I’ve ever seen. 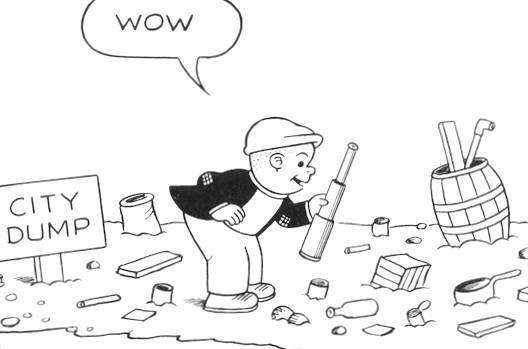 Sluggo. The original American Picker. Since no one else had mentioned it: it’s pretty remarkable that you’ve been doing this for a whole year. Seems like just yesterday!